New sanctions against those who fraudulently claim welfare, including stopping pension payments, have been approved by Switzerland’s upper house, according to the newspaper Le Matin. The new law, if approved by parliament, would provide a clear legal framework for halting or delaying pension payments to anyone guilty of welfare fraud who has emigrated to escape prison or other penalties. Currently, payments are typically stopped or delayed in such cases, however there is no clear legal mechanism allowing the practice. The new law would bring legal clarity. 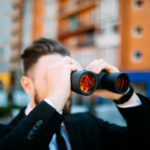 In addition, the new law would allow reasonable costs related to identifying fraud to be passed on to those guilty of abuse and require unjustified welfare payments to be repaid within three years rather the current one year period. 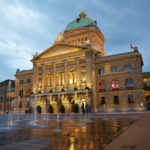 Federal funding of legal costs will be reduced, a measure designed to reduce the motivation to bring cases at the Federal Tribunal, Switzerland’s highest court. 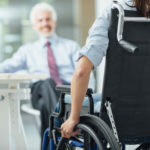 Currently, costs are not covered for cases related to disability benefits. This will be extended to other cases, which might leave cantons footing the bill. The new rules would not cover the issue of private detectives to uncover welfare cheats. This will be discussed separately in parliament and be subject to a referendum. Fraud relating to all welfare will be covered by the new rules, except for work-related pensions.